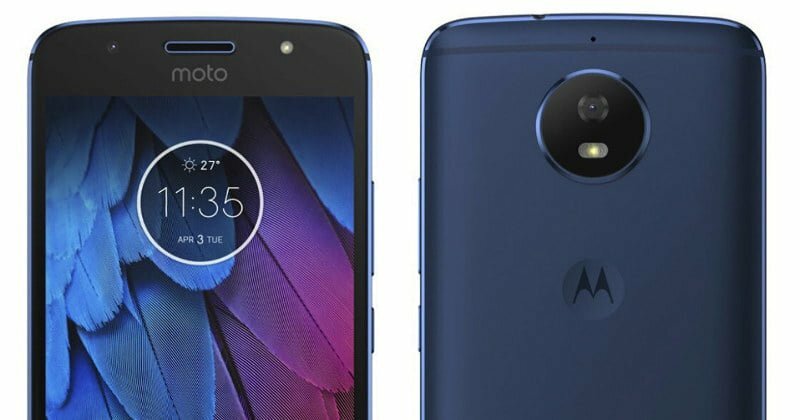 Motorola has now slashed the price of the Moto G5S smartphone in India to Rs 9,999, down from the official launch price of Rs 13,999. The Moto G5S was launched back in August 2017 as an upgrade to the Moto G5 device with minor improvements on board. At Rs 9,999, the Moto G5S is a great deal for users looking for a good stock Android Motorola smartphone, but at the same price, Xiaomi is selling the Redmi Note 5 with much better Snapdragon 625 SoC and for even less, users can get the Redmi 5 with Snapdragon 450 SoC. But Motorola never went against Xiaomi in the country. The price cut is already effective across Moto Hubs, Amazon.in and Retail stores in the country. The device will be available in three colour options- Fine Gold, Lunar Grey and Oxford Blue. Initially during the launch, the Moto G5S was made available in only two colours (Fine Gold and Lunar Grey), but later on, the device was launched in the Oxford Blue colour variant. For Rs 9,999, the Moto G5S offers a metal unibody design which is acclaimed by many out there when it launched. It sports a 5.2-inch display with Full HD resolution (1920 x 1080 pixels). The display is protected by Corning Gorilla Glass 3 and has a 2.5D curved glass on top. Internally, it is powered by the Snapdragon 430 SoC with Adreno 505 GPU. There’s 4GB of RAM and 32GB of internal storage that can be expanded up to 128GB with a microSD card. There are only a few smartphones under Rs 10,000 offering 4GB of RAM. The smartphone is still on Android 7.1 Nougat out of the box, but the device might pick up Android 8.0 Oreo update anytime in the next couple of months. It’s a dual-SIM smartphone with connectivity options ranging from 4G LTE, VoLTE, Wi-Fi 802.11 b/g/n, Bluetooth 4.2, GPS and a micro USB port. A 16MP rear camera is present at the back, along with a 5MP front-facing camera. The device is armed with a 3000mAh battery with Turbo Charge support. Another best feature of the Moto G5S which no other smartphone is offering at that price is the water-repellent nano-coating. The smartphone has a fingerprint scanner placed below the display.